In celebration of the 50th anniversary of United Nations Commission on International Trade Law (UNCITRAL), the conference “Global Standards for Rule-based Commerce” will be held in New Delhi, India, on 28-29 November 2016. Hosted by the UNCITRAL National Coordination Committee India (UNCCI) and the UNCITRAL Regional Centre for Asia and the Pacific, with the support of the Permanent Court of Arbitration, and continued encouragement from Mr. Fali Nariman, Mr. Gourab Banerji and Mr. George Pothan, the conference will be opened by President of India Pranab Mukherjee, Chief Justice of India T.S. Thakur, and Chair of the 44th session of UNCITRAL Salim Moollan QC. With the former President of the UN General Assembly Sheikha Haya Rasheed Al Khalifa delivering a special address. Day two of the conference features special addresses by Mrs Cherie Blair, Minister of State for External Affairs MJ Akbar and former External Affairs Minister Salman Khurshid. The conference has an active participation by the Judiciary and the Ministry of External Affairs will feature prominent dignitaries and jurists from around the world, discussing UNCITRAL’s role and work in the harmonization and modernization of international trade law, as well as pertinent international trade law issues including arbitration, electronic commerce, cross-border insolvency and the hotly debated topic of investment treaty disputes. 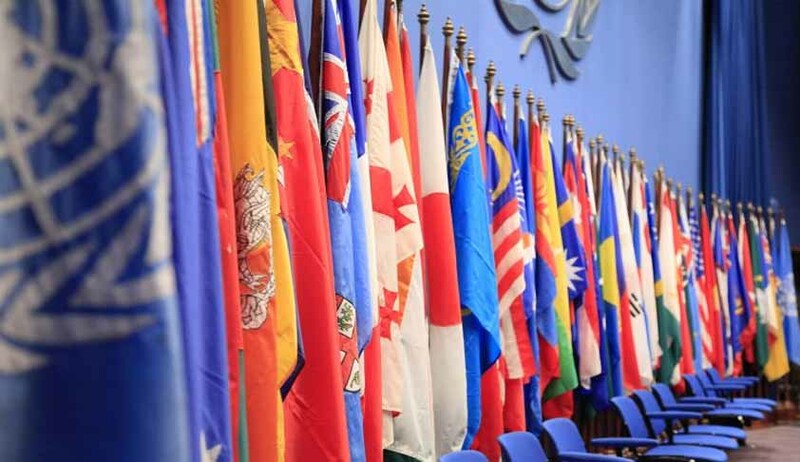 UNCITRAL National Coordination Committee India (UNCCI) is one of the only 3 national committees of UNCITRAL, and has been instrumental in getting India to host the event. It has also played a key role in securing participation from the highest level on various counts. UNCCI was recognized by the UNCITRAL on June 02, 2015. The Committee has been constituted under the aegis of esteemed Senior Advocate Mr. Fali S. Nariman. It is organized as an autonomous committee drawn from leading legal practitioners, scholars and administrators in India, proposing to address the need of the judiciary to better understand the internationally prevailing application and interpretation of UNCITRAL standards. The Committee further aims to achieve effective cross border cooperation, to review decisions, and to communicate directly with courts failing to apply the conventions where required.